We love fiscal sponsors and also strongly recommend consulting tax and legal professionals before working with one. We also encourage any project owner to make sure that it is a sound financial decision to run a crowdfunding campaign through a fiscal sponsor. Keep in mind that both organizations — Seed&Spark and the Fiscal Sponsor — keep a small percentage of funds raised. For most campaigns the average pledge amount is $100 and the most common pledge is $25. Typically people contributing at these levels are not interested in the tax write off so in some cases it won't be a particularly strong incentive to have pledge be tax deductible. It’s a good idea to check in with your network and audience first to assess if working with a Fiscal Sponsor will make an impact on your ability to raise your goal. If you don't see your preferred partner listed on this page, have them download and complete our services agreement and send it back to your crowdfunding specialists. Before launching your campaign you'll also need to grant them admin access to your project so they can enter their bank details for receiving the payout after the campaign. Funds cannot be transferred to the project owner directly if you want them to be tax deductible. The Fiscal Sponsor is then responsible for issuing the funds to the project owner. The Fiscal Sponsor is responsible for issuing all tax related receipts. Seed&Spark will issue a receipt for all pledges but these cannot be used for anything tax related. On the Campaign Dashboard, which is accessible by all project admins, there is a downloadable Audience List ( a spreadsheet with all contributors information: date, name, email, pledge amount, selected incentive, etc. ). Seed&Spark’s platform fee is 5% and credit card fees are 3%. However, we offer contributors the opportunity to cover Seed&Spark’s fee, and most do, so on average you'll only pay around 2% ( plus the 3% credit card fees ). We already have the lowest fees in the industry so unfortunately we do not offer lower fees when working with fiscal sponsors. Fiscal Sponsors may set a minimum threshold for pledges that will receive tax deductible receipts. However, ALL funds, less Seed&Spark and credit card fees, will still be issued to the Fiscal Sponsor. This is extremely important for campaigns that are run as nonprofits ( which would be true for all campaigns run through fiscal sponsorship program ). Whenever your offer rewards to a donor in exchange for their pledge, their donation is partially deductible above and beyond the fair market value of the rewards that they are receiving. So for example, if for a donation of $100 you give a donor a ticket to your show that normally costs $10, the tax-deductible value of that donation is $90 ( the amount above the value of the reward that they received ). The Fiscal Sponsor will need to issue tax receipts stating non-deductible values, so it is your responsibility to provide info about the fair market values of your rewards. Funds will be issued to the Fiscal Sponsor 5-7 business days after a successful campaign. Since we do not charge your contributrors until the campaign ends successfully, there will be a percentage of pledges that will be declined and the corrected pledges will trickle in over a couple of weeks as they fix their payments. Even if your fiscal sponsor has worked with us before, they will need to input their financial information into each crowdfunding project. We apologize for the inconvenience but this is a measure to protect the most sensitive data. Thank you! This list is pretty exhaustive and will probably bring up a few questions so again we urge you to speak with tax and legal professionals before running a campaign. Film Independent’s mission is to champion creative independence in visual storytelling and support a community of artists who embody diversity, innovation and uniqueness of vision. Home of the LA Film Festival and Film Independent Spirit Awards, it’s through our many labs, grants and educational opportunities that we’ve helped filmmakers make their movies, build an audience for their projects and diversify the film industry. Our Fiscal Sponsorship program opens the door to funding that carries independent media creators of all kinds through every stage of their project’s lifecycle – from development to distribution and beyond. At IDA we believe in the power of documentaries and the filmmakers who make them. 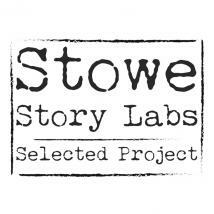 For more than 30 years we’ve provided independent filmmakers with the tools that help get projects funded, finished and seen. With a full time staff, strong relationships with institutional funders, and access to IDA’s suite of educational opportunities, we are committed to supporting documentary makers of all kinds. IDA offers our sponsored projects the opportunity to utilize the power of a dynamic crowdfunding platform while offering a valuable tax deduction to donors. The Film Collaborative is the first non-profit committed to distribution education and facilitation of independent film. Launched in early 2010, TFC offers independent filmmakers a full range of services, including fiscal sponsorship, education about distribution, and distribution and marketing service. To be considered for Fiscal Sponsorship projects must be film or film related, consistent with the TFC’s charitable purposes, be creative, artistic and/or educational, and represent an imaginative contribution to the film or video art form. For more information please explore our fiscal sponsorship page and read the FAQs! Cinefemme is a 501 (c)(3) non-profit organization which helps women filmmakers realize their independent film, video, and new media projects. We serve as the Fiscal Agent and can confer our tax-exempt status to qualified projects, making donations tax-deductible and qualifying them for certain grants. Submissions accepted into the Fiscal Sponsorship Program are non-commercial projects with a woman director at the helm. We are thrilled to announce our partnership with the innovative and successful company Seed & Spark. Cinefemme projects crowdfunded through Seed&Spark will be discounted at 7% ( Cinefemme's usual fee is 10% ). For more information or to apply for fiscal sponsorship, visit our website ( click header link ). Please direct inquiries to Executive Director MichelleKantor at michelle@cinefemme.net. 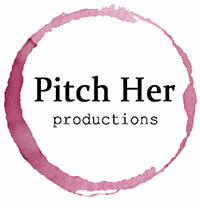 Pitch Her Productions is a non-profit production company formed for the purpose of encouraging, fostering, and promoting the advancement of women in the film industry, including the creation of more roles for women, both in front of and behind the camera. They seek to enhance the female voice and to inspire girls and women of all ages. Their desire is to create work that benefits female artists and filmmakers, a demographic which has historically been underrepresented in the film industry. From The Heart Productions, Inc. is a 501(c)3 non-profit with a mission to help the artists who create independent films get their documentaries, features, short films, and web series funded and completed. Through our fiscal sponsorship program, we offer low fees, personal support, and guidance on fundraising. Our Roy W. Dean Grant is offered three times each year. Our Intentional Filmmaking Classes help filmmakers create an action plan for funding while clearing for them all mental blocks keeping them from getting money for their films. For more info on fiscal sponsorship program, click on link in header.